Games are a fun but serious way of helping humanity tackle the complexities, volatilities and uncertainties that could be hallmarks of the new normal for the global climate. In recent years the Climate Centre and its partners have designed at least 45 games on humanitarian issues like disaster preparedness, gender, food security, climate information, health, road safety and the management of urban waste. Across five continents and in at least 40 countries, farmers, schoolchildren, Red Cross Red Crescent volunteers, meteorologists, students, government officials, climate-policy negotiators, city-dwellers, staff of development banks and donors have all experienced the power of game-based learning. We believe this offers many advantages over traditional teaching that casts stakeholders as passive onlookers. Our Games for a New Climate video shows how games speed up learning, dialogue, and action on climate risks: they involve decisions with consequences, enabling players to inhabit the reality of climate-risk management and test possible future scenarios in a captivating and fun way. The Climate Centre has been working with the United National Children’s Fund and other partners in Ghana to develop educational games to help engage youngsters in public-health handwashing campaigns and related behaviour. In early 2014, we established a two-year partnership with the International Fund for Agricultural Development (IFAD) to support their 35-country Adaptation for Smallholder Agriculture Programme, which provides add-on grants to regular IFAD-supported projects. 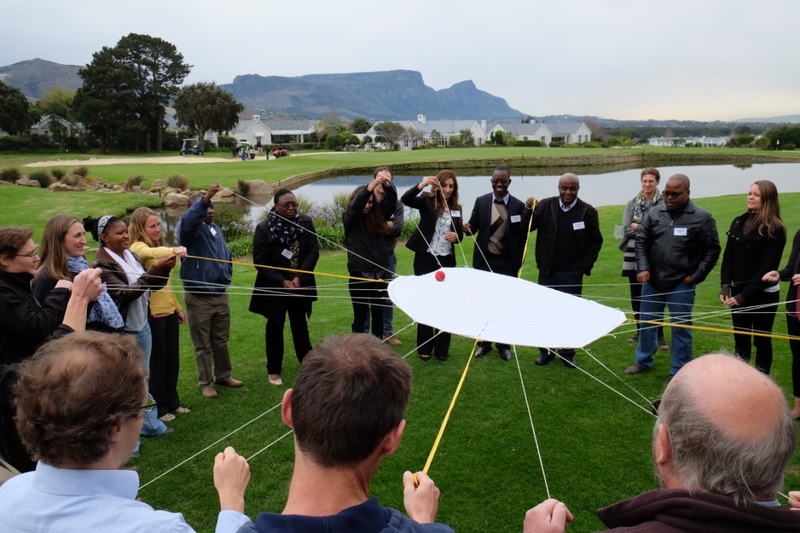 We’re helping IFAD establish dialogues on climate risk and extremes in workshops, including adapted games on climate-risk management and training sessions for facilitators. The Climate Centre is also working with Plan International to develop a package of educational games for children in Asia – particularly South-East Asia – that will strengthen their understanding of climate impacts where they live and how they can adapt. Together with the National Societies of Denmark and Hungary, and the Red Cross Red Crescent Psychosocial Support Centre, we are contributing game design and faciliation to the Community Resilience in Urban Areas project supported by the European Commission and convened by the British Red Cross. We would especially like to thank for their inspiration and collaboration over the past years: Prototyping, Education and Technology Lab at Parsons The New School for Design in New York City, the American Red Cross, the Climate and Development Knowledge Network, Oxfam, IFAD, IIED, the World Bank, Plan International, and the University of Cape Town. Would you like to explore how serious games can enrich organizational learning? Do you want to use a serious game to support a project activity? The Climate Centre has a broad spectrum of expertise within its team. If you are looking for a specialized game or would like to develop your own game, please get in touch with our games specialist Margot Steenbergen. It is important to facilitate these games in a reflective manner; after all, learning is among the most important parts of anyone’s experience. Here are some tips and short videos on facilitating games. The Climate Centre has used a large variety of games in recent years. We have compiled a selection of some of our favourite games, but please note that we are still updating this pages. Again, contact Margot Steenbergen for more and/or access the games overview.